Carved into a lava cliff, The Lava Restaurant is an unforgettable dining experience. There are breathtaking views over The Blue Lagoon. Mesmerising and delicious this has to be one of the most remarkable restaurants in the whole world. It can only be described as modern, casual fine dining. Guests are being welcomed in their robes from the spa and others in snow boots. The menu was delectable. A warm bread baskets is always a nice start to a meal but at The Lava Restaurant this was out of this world. There was warm sour dough bread and cinnamon bread with hints of orange en-laced in the dough which smelled divine. The bread served with whipped butter on lava rock was delectable. 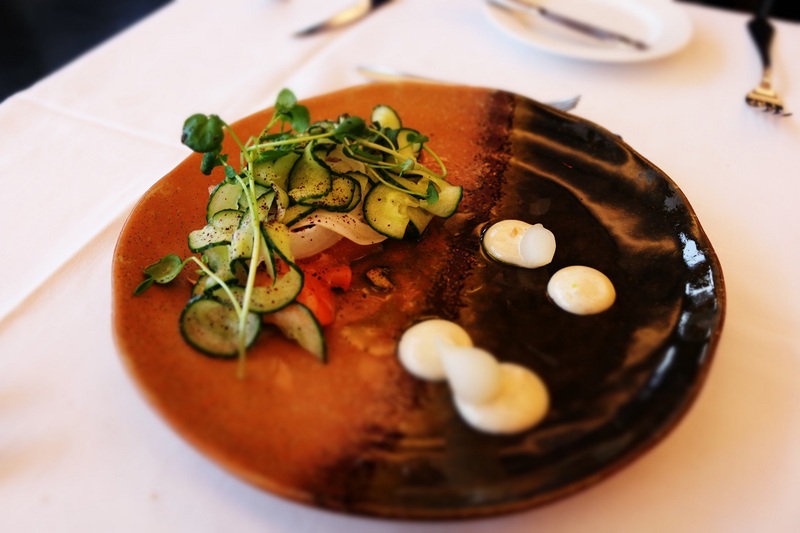 The starter of Arctic Char, Icelandic fish topped with spiral cucumber, fennel, pearl onion and toasted bread aioli. 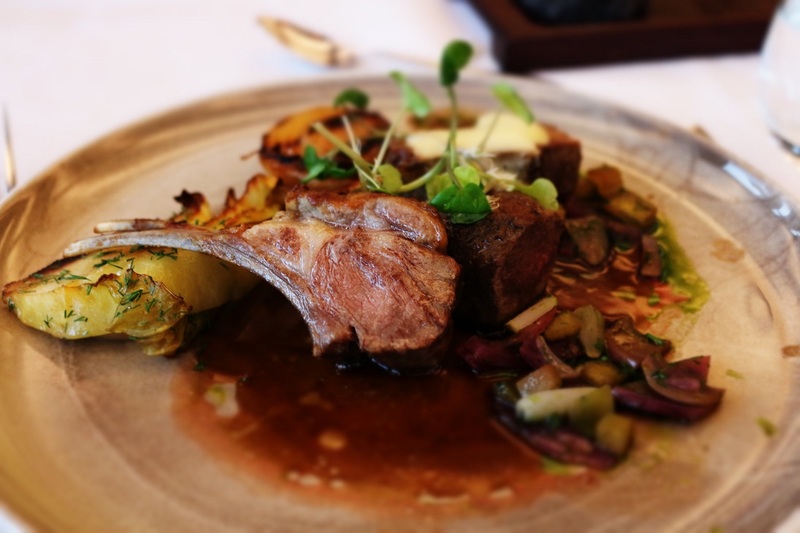 The slow cooked rack of lamb was succulent and tender. The dish was infused with diced apples, a mint jus, cabbage and smoked onion. It was a perfect combination and rather delicious. 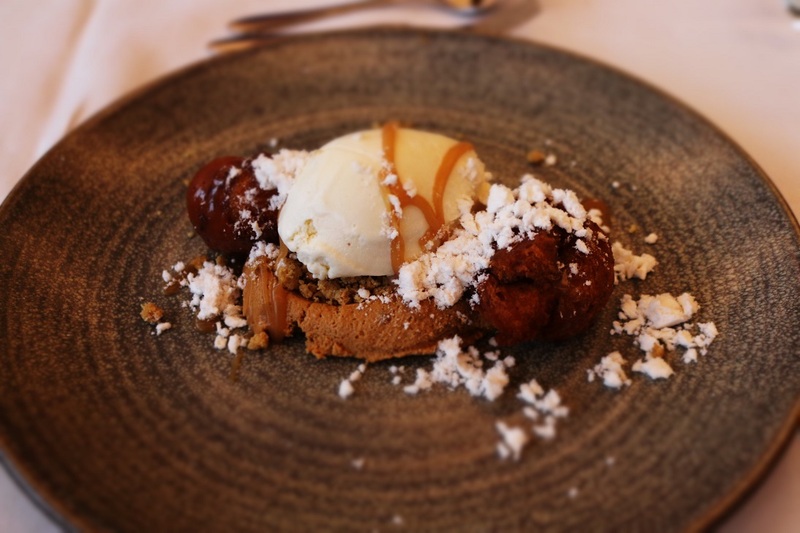 Astarpungar were warm fluffy doughnut like balls served with chocolate mouse and vanilla ice cream crystals and salted caramel. The Lava Restaurant will be a memory cherished. Picturesque views with sensational food are a great way to celebrate any special occasion. It’s only about an hour from Reyjkavik and makes a lovely end to a relaxing spa day at The Blue Lagoon. It’s also possible to spot the Northern Lights here too on a clear day which would make it even more magical. The Lava Restaurant, Blue Lagoon. 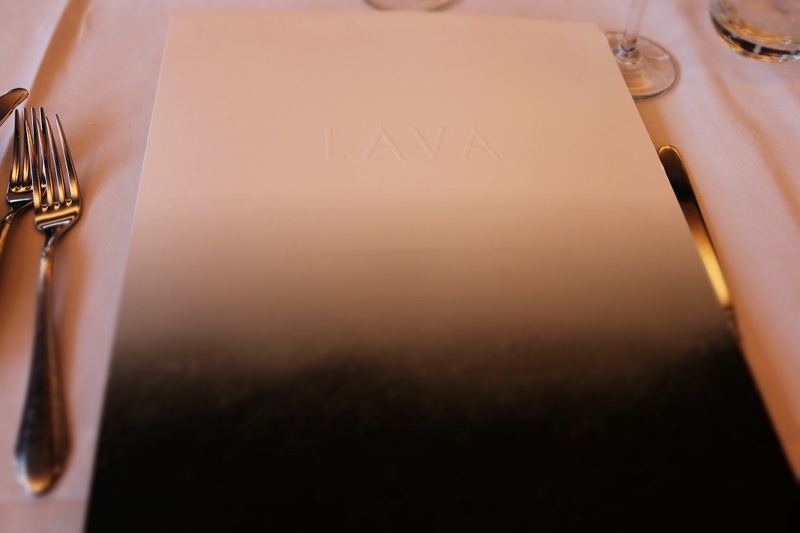 We ate at the Lava to celebrate the end of the best holiday we ever took in Iceland. Sublime food. Fantastic service. Expensive but once in a lifetime. The Lava Restaurant is such a memorable experience- glad you enjoyed it too!